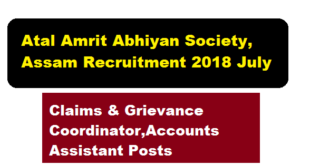 According to the latest Atal Amrit Abhiyan Society, Assam Recruitment 2018 July, Atal Amrit Abhiyan Society, Assam a Society notified by the Govt. 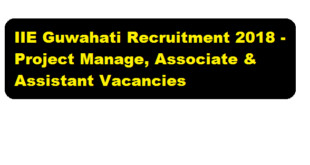 of Assam and registered under the Societies Registration Act, 1860 for implementation of Atal Amrit Abhiyan Scheme, a unique Health Assurance Scheme in the State aimed to provide critical care health assurance coverage to BPL population and Low Income households, invites applications for the posts of Claims Coordinator , Grievance Coordinator,Accounts Assistant. 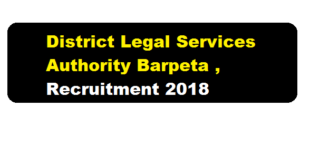 We shall discuss more about AAA Assam Recruitment 2018 below. Organization : Indian Institute of Entrepreneurship (IIE), Guwahati. Indian Institute of Entrepreneurship (IIE), Guwahati an autonomous organization under Ministry of Skill Development and Entrepreneurship (MSDE), Govt. Of India . According to the latest IIE Guwahati Recruitment 2018, Indian Institute of Entrepreneurship (IIE), Guwahati invites applications for the following post on contractual basis for its Social Institution Building Cell (SIBC) at IIE. 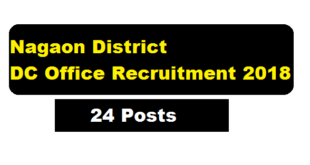 According to the latest DC Office Kamrup Recruitment 2018, A walk-in-Interview will be held on 26th July 2018 from 11 AM onwards at the office the Deputy Commissioner, Kamrup, Amingaon, for engagement of Helper (On contractual basis) in connection with NRC Updation process under Kamrup District. 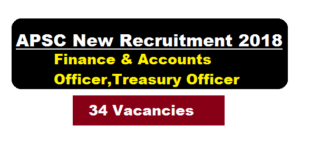 We have discussed more about this govt jobs in Assam below. 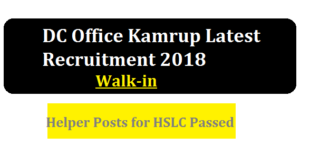 Applications are invited in the prescribed standard form (Published in the Assam Gazette) Part-IX, from the intending candidates to fill up the post of Junior Assistant (H.Q. & District), Asstt. 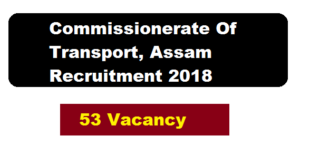 Enforcement Inspector, Enforcement Checker, Stenographer and Computer under the Commissionerate of Transport, Assam. We shall discuss more about this government Jobs in Assam in the below section. 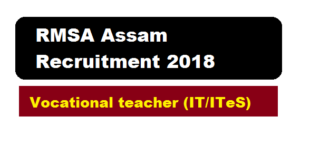 According top the latest RMSA Recruitment 2018 advertisement , eligible candidates may appear for an interview to be conducted for the position of “Vocational Teacher (IT)” under NSQF National Skill Qualification Framework, Assam. The interview will consist of written test on conceptual contents, Group Discussion, Computer proficiency test and personal interview. 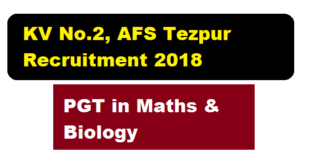 According to the latest KV No.2, AFS Tezpur Recruitment 2018 July notification, In order to empanel teachers on contractual basis for the session 2018-19 a walk in interview for PGT(Bio) and PGT(Maths) will be held at KV No.2, AFS Tezpur. 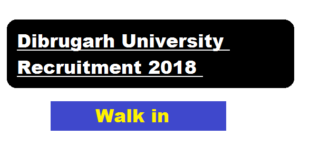 A Walk-in-Interview will be held on 08/08/2018 at 10-00 A.M. in the Bhojraj Seth Conference Hall of the Vice-Chancellor's Office, D.U. for 02 (Two) temporary Posts of Assistant Professor on contract basis in the Centre for Studies in Philosophy, Dibrugarh University, Dibrugarh with the following qualification.